The next solar eclipse in the United States will be on April 8th, 2024. To safely view an eclipse it is important to note that observer needs to take certain precautions to safeguard his/her eye health from the harmful rays emitted by the sun during the eclipse. Exposing your unprotected eyes to the sun during a solar eclipse can cause solar retinopathy (retinal burns); also known as "eclipse blindness". This exposure can temporarily or permanently damage or destroy cells in the retina. The damage can take up to a few days to be fully expressed with symptoms including loss of central vision, altered color and blurry or distorted vision. Welder's Glasses: To reduce harmful rays and safely watch teh eclipse wear number 14 welder's glasses. Pinhole Projection: Use this method to watch the solar eclipse safely and inexpensively. Make a pinhole on one side of cardboard paper to allow the sun light to shine through onto a piece of paper on the other side of the cardboard. This method allows you to watch the entire event unfold on the paper without risking any harm to your eyes. Online or Television: The safest way to watch the solar eclipse is probably via television or online. 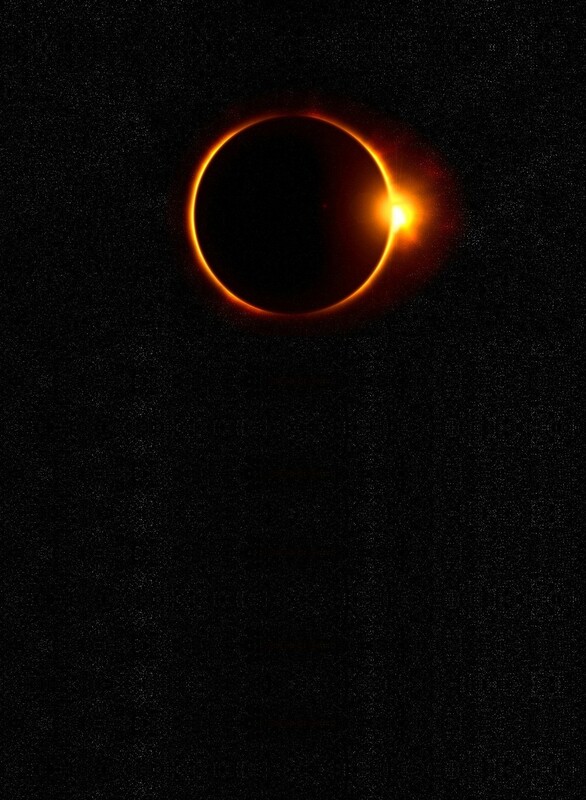 Subscribe to reminded of the event and come back to this site on the day of the solar eclipse to watch it live. Generally speaking, a solar eclipse occurs when the moon passes in front of the sun and its shadow is cast down on earth. A total eclipse occurs when the moon completely covers the sun while a partial eclipse occurs when it partially covers it. To view a solar eclipse a person needs to be located directly in with the moon and the sun. Where Can You View The 2024 Eclipse? According to CNN the total eclipse will be visible in Mexico, the central US and east Canada, with a partial eclipse visible across North and Central America. The 2024 eclipse will have peaks of 4.5 minutes. In the United States, it will be visible in a diagonal path crossing from Texas to Maine, according to NASA. The following cities will be in the path of the 2024 Totality of the eclipse: Austin, Texas; Dallas; Little Rock, Arkansas; Indianapolis; Toledo, Cleveland and Akron, Ohio; Buffalo and Rochester, New York; Montpelier, Vermont; and Montreal. Barring any potential cloud cover, anyone in this path will be able to see the awe inspiring view of a total eclipse of the sun. A partial eclipse of the sun will be visible to all those who are outside of this path.